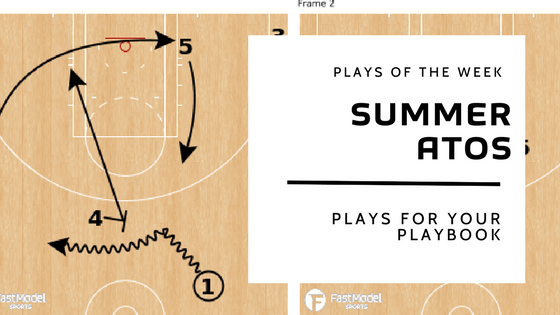 The summer is the perfect time to work on your craft as a basketball coach. Many of the best coaches are reading, watching film, and looking for new wrinkles to give them the edge. Having a number of quality ATOs (After Time-Out) at your fingertips allows for you to be prepared for whatever situation you and your team face next season. This week’s Plays of the Week features three ATOs featured during the 2017 NBA Summer League. Plays of the Week by Coach Matt Wheeler. The Miami Heat ran this as their opening play against the Memphis Grizzlies in the 2017 NBA Summer League. 4 & 5 rolled off of both ball screens to set the stagger screen for 2 and get him an open three point shot. 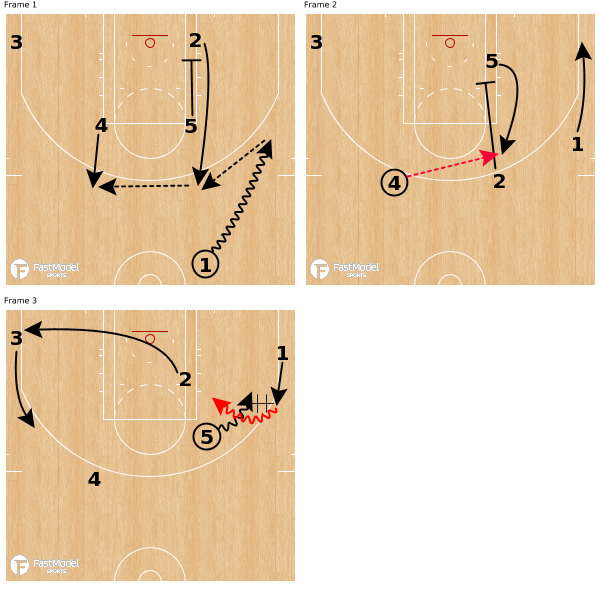 The Brooklyn Nets summer league team used this play against the LA Lakers to get a look for 1 cutting to the basket for a layup or 4 popping to the corner for a shot. The shuffle cut from 1 off the screen from 4 forced x4 to help or they would give up a layup. This got 4 open for the shot along the baseline. The Los Angeles Lakers used this set to open multiple games in the 2017 NBA Summer League. It provides options for a jump shot for the 5 or for 1 to create off of the dribble handoff.